This entry was posted in PELANGA RECORDS! and tagged Colombia, Currulao, Grupo Canalon, Nidia Gongora, Pacifico, papicultor, Timbiqui by Papicultor. Bookmark the permalink. Incredible! 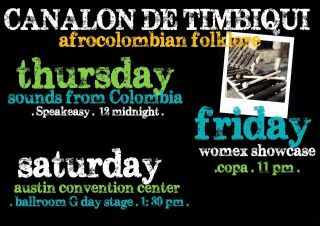 Wish I could make it to Austin, but I’m 100% behind the Pelanguero family trip to Colombia. How beautiful would a Pelanga con Canalon de Timiqui be?? ?